Jack-in-the-pulpit vases, oddly shaped like trumpets, resemble the wild plant called jack-in-the-pulpit. The plant was used to treat bronchitis and rheumatism, but is now known to be poisonous if ingested. 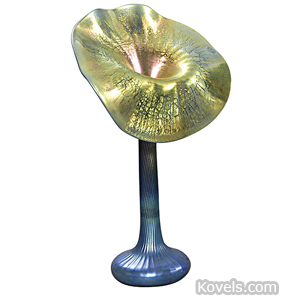 The first jack-in-the-pulpit vase was made in 1854 by Stevens and Williams. 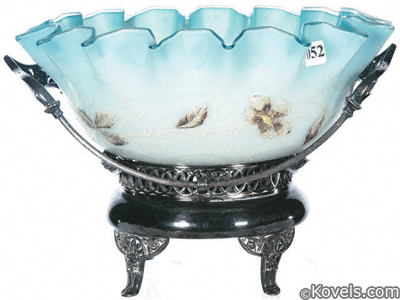 The design originated in the late Victorian years. 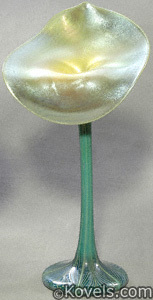 Vases in the jack-in-the-pulpit shape were made of ceramic or glass.